From draining the Hula wetlands to the planting of non-native mono-culture trees to the unsustainable development of land, Keren Kayemet L'Yisrael / Jewish National Fund in Israel (KKL-JNF) has had a blemished record on the environment throughout its history. The Green Zionist Alliance is working to change that by putting the environment back on the agenda of KKL-JNF. With a 650-million-shekel annual budget and responsibilities for forestry, stream restoration, aquifer development and a range of environmental infrastructures, KKL-JNF, with the support and leadership of the GZA, has the opportunity to become the leading sustainable-development agency in Israel. 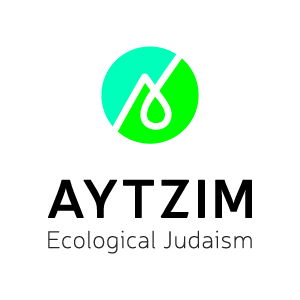 Beginning in 2002, through a partnership with Mercaz/Masorti, the Green Zionist Alliance has been able to appoint GZA members in Israel to the KKL-JNF board of directors. Our first two KKL-JNF board representatives were GZA co-founder Dr. Alon Tal — who also founded the Israel Union for Environmental Defense as well as the Arava Institute for Environmental Studies — and Dr. Eilon Schwartz, the executive director of the Heschel Center for Environmental Learning and Leadership. Alon and Eilon were subsequently appointed to head the then-newly established Sustainable Development Subcommittee. Together, they created position papers that established new KKL-JNF policies for sustainable forestry, river restoration, water reservoirs and public participation. They pushed KKL-JNF to declare nature reserves in Nes Tsiona. They convinced the KKL-JNF to join the campaign to save thousands of acres of woodlands by moving parts of the trans-Israel highway into tunnels. They took an active role in KKL-JNF's efforts to combat desertification internationally. And they also became leaders on social-justice issues by helping to spearhead a new campaign to make KKL-JNF parks handicap accessible. After the 2006 elections, Dr. Orr Karassin, co-founder of Green Course, joined Alon and Eilon as GZA representatives on the KKL-JNF board of directors, and she was appointed to chair the Sustainable Development Subcommittee and serve on the Land Development Committee, which oversees forestry policy and all land-development activities. After starting an initiative to “green” the internal operations of KKL-JNF, Orr was appointed to chair the committee overseeing the improvement of KKL-JNF’s environmental performance. Alon was appointed co-chair of the Land Development Committee, where he changed funding priorities to expand the forestry budget and make afforestation the top KKL-JNF budgetary priority. Alon used his new position to toughen environmental standards for determining the location of KKL-JNF wastewater reservoirs. Under Alon's leadership, the Land Development Committee maintained continuous oversight to ensure the sustainability of forestry practices in Israel. Additionally, the committee oversaw evaluation of a new carbon-sequestration policy and increased its investment in forestry research, including support for the Weitzman Institute’s carbon-assessment project in the Yatir Forest. At Alon’s insistence, for the first time KKL-JNF included bike paths as a permanent annual budget item. Subsequently, a new KKL-JNF initiative was matched and tripled by the government — resulting in 60 million shekels being invested in bike paths nationally, including the new Trans-Israel Bike Trail and the Kinneret Circumference Trail. Alon also proposed a plan to convert KKL-JNF buildings into solar-power generators: Since Israeli law requires the national electric company to purchase solar energy produced during the day from small solar generators, within only a few years rooftop solar panels can pay off the costs of installing them. After that, they would become generators of revenue, which in turn could be used to install solar panels on more rooftops of KKL-JNF buildings. Through the leadership of the GZA's representatives, the KKL-JNF has been helping the environment of developing nations in Africa. Alon initiated a cooperative project with the Agahozo-Shalom Youth Village in Rwanda where KKL-JNF is supporting afforestation activities for the first time on the African continent. Orr has been heading a new committee to oversee KKL-JNF's policies concerning academic scholarship and research fellowships. Under her leadership, hundreds of thousands of shekels in fellowships from KKL-JNF were directed to support environmental training. Additionally, Orr and Alon sit on the committee that is overseeing a new one-million-dollar environmental-fellowship program funded by Jewish National Fund of Australia. Most of the research projects focus on biodiversity and open-space management. Orr also initiated the participation of KKL-JNF's United Nations climate-change negotiations, and in 2007 she headed the KKL-JNF delegation to the U.N. Framework Convention on Climate Change in Bali. Orr has also been instrumental in pushing KKL-JNF to enter into new environmental projects such as solar power; she was part of the committee that endorsed the first KKL-JNF-funded solar-power project in Israel. In October 2009, Rabbi Yoav Ende replaced Eilon on the KKL-JNF board and also took over Eilon's committee responsibilities. In December 2009, Orr headed the KKL-JNF delegation to the United Nations Conference on Climate Change in Copenhagen. And in January 2010 Orr was appointed as the first chairwoman of the KKL-JNF environmental-management committee. In that capacity, Orr has developed a strategic plan for greening the internal work of KKL-JNF that will backed by funding from the KKL-JNF budget, aiming for a ISO 14001 environmental-management accreditation. The strategy was implemented in 2011 in KKL-JNF offices across Israel. Because of the coalition agreement at the 36th World Zionist Congress in June 2010, the GZA and Mercaz/Masorti were meant to lose Yoav's seat on the GZA board and, in consolation, the GZA and Mercaz/Masorti were supposed to have been awarded the chairmanship of the land-development committee, to which the GZA would have appointed Alon. However, because of complications with the agreement, it was not enforced and no changes were made in KKL-JNF leadership until December 2011. In the meantime, policy change became more difficult but still doable. Heading the students and research grants committee in 2010, Orr awarded the largest amount in academic and research grants in the history of KKL-JNF. In a ceremony held in KKL-JNF's Ben Shemen forest, more than 250 students received scholarships based on their academic merit and their involvement in social and ecological activities. In November 2010, Orr headed the KKL-JNF delegation to the United Nations Conference on Climate Change in Cancun. Throughout 2010, Alon led efforts to engage KKL-JNF to join Jerusalem community organizations trying to stop construction of a new highway cloverleaf overpass that would have destroyed hundreds of dunams of the Jerusalem Forest. He also worked to stop expansion of Jerusalem's Ramot neighborhood in the “Mitspeh Naftoah” hillside, which is Jerusalem’s greatest biodiversity hot spot. In the summer of 2011, Orr initiated and chaired a KKL-JNF committee to investigate oil-shale exploration and production through hydraulic fracturing (fracking) and in-situ retorting, which has become a substantial threat to Israel's open spaces and water supplies. One of the most threatened areas is situated in the center of Israel between Jerusalem and Tel Aviv and remains the last wide uninterrupted open space between both metropolises. The committee developed a 34-page report that was approved unanimously by KKL-JNF. Released in mid-2011, the investigation already has had a major effect: Thanks to the report, the Ministry of Agriculture now opposes oil-shale exploitation in Israel. In the fall of 2011, Alon worked to prevent KKL-JNF's expulsion of an Arab family from their home in Silwan, a disputed neighborhood of Jerusalem that may become part of a future Palestinian state. Thanks to Alon's intervention, the eviction was indefinitely postponed. In November 2011, Orr headed the KKL-JNF delegation to the United Nations Conference on Climate Change in Durban, South Africa, where hundreds came to the KKL-JNF booth, opening multiple avenues for international cooperation. Also, for the first time the KKL-JNF hosted its own formal event, appearing in the U.N. calendar, presenting KKL-JNF's accumulated knowledge in dry-land afforestation and in adaptation of forests to an ever drier environment. Throughout 2011, Orr pressed for the new organizational structure of KKL-JNF to include new international cooperation and environmental management roles. She requested the establishment of a new international cooperation division that was established by the end of the year, along with an environmental-management unit. Alon spearheaded KKL-JNF’s continued support for the Agahozo-Shalom Youth Village in Rwanda, which now has a beehive and an afforestation program for high-school children, all sponsored by KKL-JNF. And thanks to Alon's work, KKL-JNF reached its peak tree-planting levels in more a decade (15,000 dunams/year) due to a new initiative to complete Israel’s National Masterplan for forestry. Alon also continued championing expanded funding for forestry research. In December 2011, following prolonged court cases, the World Zionist Organization was ordered by the court to implement its long-ignored 2010 coalition agreement. However, Mercaz/Masorti unilaterally broke its contract with the GZA, booting both Alon and Orr from the KKL-JNF board, leaving the KKL-JNF board without any environmentalists. The GZA protested the illegal and unethical action and Mercaz/Masorti chose to return Alon and Orr to the KKL-JNF board. Without a green presence on the board, green issues lacked strong advocates and even in just a few months the Jerusalem Forest was threatened with development. Fortunately, Orr was reinstated to the board in February 2012 and Alon was reinstated in May 2012. The GZA looks forward to a renewed partnership with its Conservative colleagues. In May 2012, Orr joined the Finance Committee and the Clean Energy Committee and was appointed chairperson of KKL-JNF's first-ever Sustainable Development Committee; Alon was once again appointed as co-chair of the Land Development Committee. Although there remains much work to be done, the Green Zionist Alliance continues working toward our goal of making KKL-JNF a shining green example for Israel and the world — by making KKL-JNF greener every day.